It is the easiest way to connect Qmobile with PC to use your phone as a modem for internet or also can exchanging of between PC and mobile. You will need to download and install some important files which are will help you to connect your phone with PC. After installing the above applications, you just need to configure internet settings in your PC suite which you have installed on your PC. If your phone is not connecting to an internet, you will need to configure access point names manually. 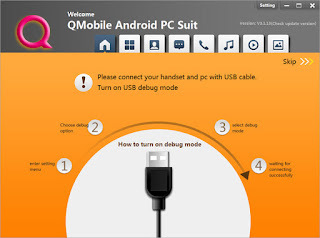 We have shared the latest setup of Qmobile PC Suite absolutely free. So you will need to follow the provided links below to get the latest setup. If you are facing trouble during download connecting the phone with PC, feel free to contact us.